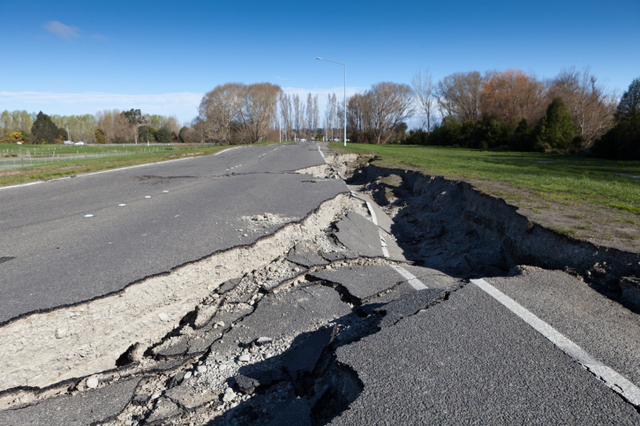 Earthquakes can occur at any time of the year, and assistance from local fire and police departments may not be available immediately following an earthquake because the disaster affects the entire region. Advance planning can reduce your family’s chance of death, serious injury, and property damage. Anything you can do to prepare now will help you during and after the earthquake. You may need more than the traditional 72 hours’ worth of food, water, and supplies after an earthquake. If possible, plan on having enough supplies and other necessary equipment to last for two weeks. This checklist will help you start an earthquake emergency supply, most of which is applicable to other emergencies. Or click here for a comprehensive checklist. -Water purifiers, water filters, purification tablets, or chlorine bleach to purify drinking water from natural sources like rivers, lakes, and ponds. Find out if your area is at risk from earthquakes. Talk with your insurance agent or local government resources. Or click here to see which natural disasters might occur in your state. Regarding insurance, know that different areas have different requirements for earthquake protection. Study locations of active faults, and if you are at risk, consider purchasing earthquake insurance. Pick "safe” places in each room of your home. A safe place could be under a sturdy table or desk or against an interior wall away from windows, bookcases, or tall furniture that could fall on you. The shorter the distance to move to safety, the less likely you will be injured. Injury statistics show that people who move (even as little as 10 feet) during an earthquake's shaking are most likely to be injured. Also pick safe places in your office, school, and the other buildings you are frequently in. Practice ‘Drop, Cover, and Hold-on’ in each safe place. Turn it into a game for your kids. Inform guests, babysitters, and caregivers of your plan. Everyone in your home should know what to do if an earthquake occurs. Assure yourself that others will respond properly even if you are not at home during the earthquake. Get training and keep your training current. Take a first aid class from your local Red Cross. Learn how to use a fire extinguisher through your local fire department. Training and practice will help you to keep calm and know what to do when an earthquake occurs. Discuss earthquakes with your family and establish a meeting place away from your home. Discussing earthquakes ahead of time helps reduce fear and anxiety and lets everyone know how to respond. Everyone should know what to do in case all family members are not together. Establish an out-of state contact and make sure everyone in your family knows the contact’s phone number and email address. During an emergency it’s often easier to reach a contact that is outside of the affected area than it is to make calls within the area. If your family is separated you can report whereabouts to this contact who can keep other family members informed. Earthquakes never come with a warning ahead of time, but with the information above you can make sure your family isn't caught completely off guard. Check back over the next two weeks to read During an Earthquake and After an Earthquake, which will teach you more about crucial skills like ‘Drop, Cover, Hold-on’ and how to deal with the additional dangers earthquakes can cause.